Ask for more information about our activity and research projects through the form below. This was how Baron Von Mueller called this species, revealing its virtues and spreading its seeds throughout Europe and the rest of the world during the second half of the 19th century. Thanks to this famous botanist of the Australian flora, Eucalyptus globulus gained world status as one of the most important forestry species. However, it’s the history begins much earlier, with the original description made by the French naturalist Jacques Labillardière in 1800 from herbarium specimens collected by himself 8 years earlier, in Recherche Bay, Tasmania, during the exploration voyage of Bruni d'Entrecasteaux (1791). 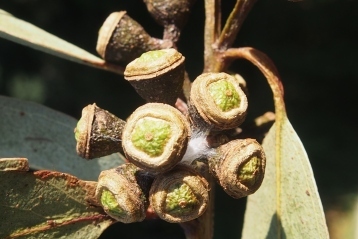 Eucalyptus globulus subsp. globulus general aspect of centenary tree (left); flowers and buds (right). 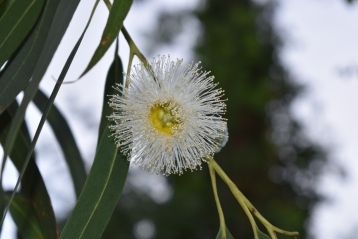 Today, Eucalyptus globulus known in Australia as Tasmanian blue gum (name that comes from the silver-bluish color of its juvenile leaves), is the official flower of Tasmania, where it is native. 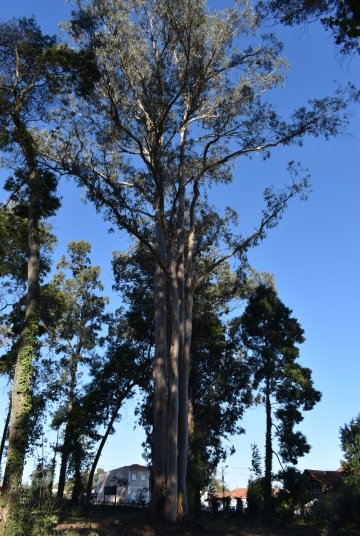 But its importance is not only local, since this is probably one of the most well-known and widespread eucalyptus species worldwide, with more than 3 million hectares planted (2012). 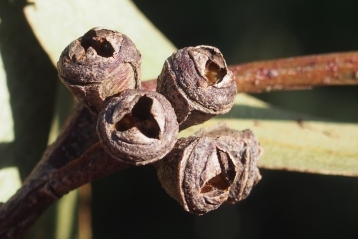 Eucalyptus globulus subsp. maidenii general appearance of a centenary tree (left); young and mature capsules (right). 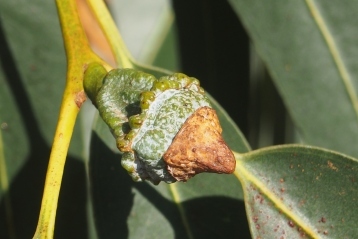 In Portugal (mainly in the central and northern coastal areas), this eucalyptus has found excellent edaphoclimatic conditions for its development, obtaining exceptional growth rates and producing wood with densities and yields difficult to match by other species. Today it represents about 25% of the Portuguese forest area, which represent approximately 800,000 hectares planted (2010), together with the Atlantic pine and cork oak, it’s one of the three forest species predominant in Portugal. 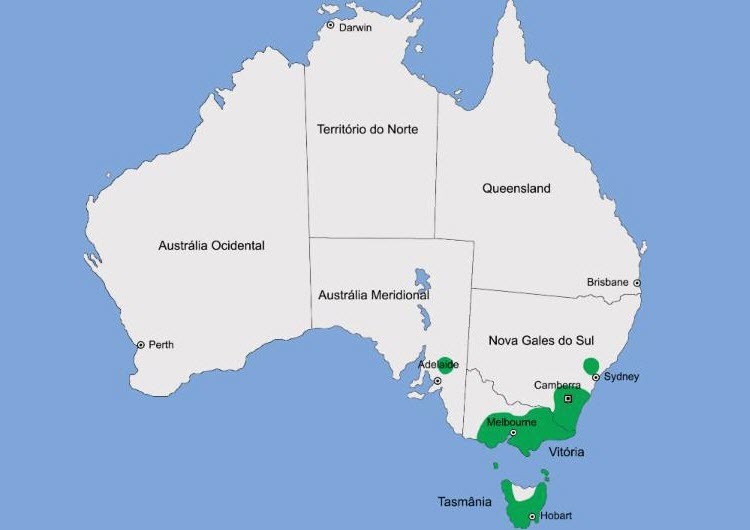 Map with the natural distribution area of all subspecies of Eucalyptus globulus (adapted from Slee et al 2006). Quinta de S. Francisco arboretum has three subspecies (globulus, maidenii and bicostata), the first two have specimens with more than one hundred years old. 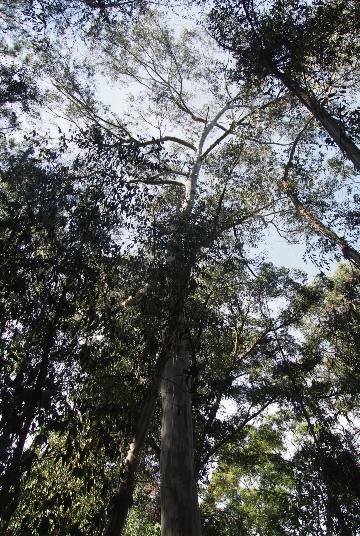 Visit us and learn more about the Prince of Eucalypts. Borralho, N.M.G.& (2006) Como explorar as diferenças e semelhanças entre as várias subespécies de Eucalyptus globulus. 2º Simpósio Iberoamericano de Eucalyptus globulus, Pontevedra, Espanha, 17-20 de Outubro 2006. Lima, J.M. (1920) Eucaliptos e Acácias: Vinte anos de experiências. 1ª Ed. Publicação do quinzenário agrícola “O Lavrador” de ‘O Comércio do Porto’, Porto. Potts, B.M. ; Kantvilas, G. & Jarman, S.J. (eds) (2006) Janet Somerville's botanical history of Tasmania. University of Tasmania, Tasmanian Museum & Art Gallery, Hobart, Tasmania. Slee, A.V., Brooker, M.I.H., Duffy, S.M. & West, J. G. (2006) EUCLID: Eucalypts of Australia. 3rd Edition. Centre for Plant Biodiversity Research. CSIRO Publishing, Canberra, Australia. ISBN: 0643093354 (DVD-ROM). If you've enjoyed the post, please share it. The Seminar Biorefinery in the pulp and paper industry: new products and applications organized by Tecnicelpa will take place on November 23rd at RAIZ, Eixo, Aveiro. Follow RAIZ latest news and scientific discoveries.